The first winners of the 7th AACTA Awards presented by Foxtel were announced today in Sydney at the Industry Luncheon, held at The Star Event Centre. Oscar®-nominated and AACTA International Award-winning feature film LION had a of wins in all seven of its nominated categories, including Best Adapted Screenplay, Best Cinematography, Best Editing, Best Sound, Best Original Music Score, Best Costume Design and Best Production Design. 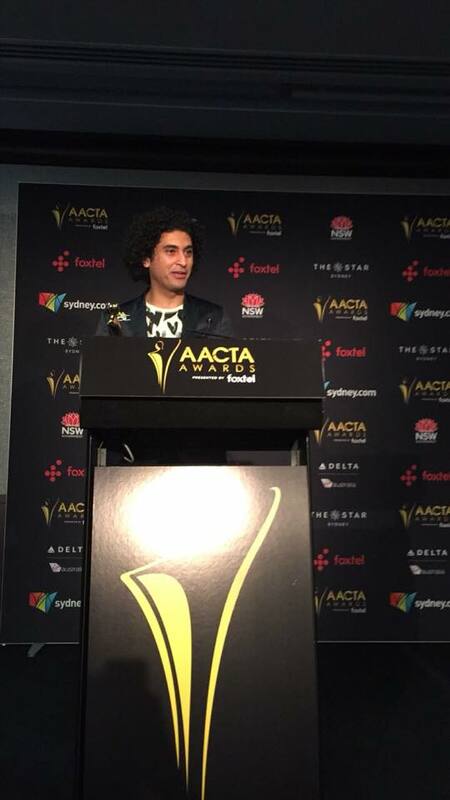 ALI’S WEDDING took home the remaining feature film Award for Best Original Screenplay, marking Andrew Knight’s second consecutive year winning the category and Best Lead Actor nominee Osamah Sami’s first AACTA Award. SEVEN TYPES OF AMBIGUITY led the pack in television, taking home three out of a potential five AACTA Awards, including Best Direction in a Television Drama or Comedy, Best Cinematography in Television and Best Editing in Television. The AACTA Award for Best Television Comedy Series went to UTOPIA for the second time, having previously received the Award at the 4th AACTA Awards. Other television winners this afternoon included: WAKE IN FRIGHT, AUSTRALIAN SURVIVOR, BLUE MURDER: KILLER COP, A PLACE TO CALL HOME, and LITTLE LUNCH – THE SPECIALS. Taking home consecutive AACTA Awards were CLEVERMAN for Best Hair and Makeup and GAME OF THRONES for Best Visual Effects or Animation for Iloura. The AACTA Subscription Television Awards for Best Female Presenter and Best Male Presenter went to Margaret Pomeranz and David Speers respectively, while first-time AACTA nominee WENTWORTH’s Zahra Newman took home the award for Best New Talent. Also receiving their first AACTA Awards were YouTube sensations Danny and Michael Philippou, whose online series RACKARACKA received the inaugural AACTA Award for Best Online Video or Series. Feature length documentary WHITELEY led the documentary Awards tally, receiving four Awards – Best Direction in a Documentary, Best Editing in a Documentary, Best Original Music Score in a Documentary and Best Sound in a Documentary. Other documentary winners were WAR ON WASTE, BLUE and CASTING JONBENÉT, which took home the AACTA Award for Best Feature Length Documentary. The luncheon featured a special musical performance from Prinnie Stevens, with a star-studded line-up of presenters including Damon Herriman, Julia Zemiro, Noni Hazlehurst, Erik Thompson, Debra Lawrance, Hunter Page-Lochard, Ella Scott Lynch and many more. The AACTA Awards are supported by the NSW Government via its tourism and major events agency, Destination NSW. The remainder of this year’s Award recipients will be announced at the AACTA Awards Ceremony on Wednesday 6 December, held at The Star Event Centre in Sydney and telecast at 8:30pm on Channel 7.